Until recently, revenue recognition in Canada followed a trend of becoming more and more complex and arcane. The problem started in the late 1990s when, in response to perceived abuses in the United States, the U.S. Securities and Exchange Commission issued a series of accounting rules that resulted in the codification of extremely complex and sometimes contradictory requirements. Concepts such as “persuasive evidence of an arrangement,” and “multiple deliverables” entered the accounting lexicon. Canadian accounting then adopted the U.S. rules, with sometimes bizarre results. For example, a small start-up company could be in the position that it has sold product and services, received the cash, and has no further obligation to its customer, but cannot record revenue from the sale. 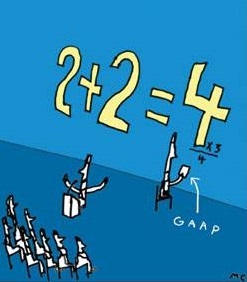 Over the past two years, old Canadian generally accepted accounting practices (GAAP) for most organizations have been changed to either International Financial Reporting Standards (IFRS, primarily for public companies) or Accounting Standards for Private Enterprises (ASPE, primarily for private companies). The conversion of Canadian GAAP to IFRS and ASPE has simplified the previously overly complex rules related to revenue recognition, and restored elements of common sense to the measurement of revenue. Our start-up company referred to above would now be able to record a sale in its accounts. However, some large accounting firms have attempted to eliminate choices and so have prescribed rules for their clients that go beyond the written IFRS or ASPE requirements. In complex situations you should discuss revenue recognition with a qualified accountant, and if necessary seek a second opinion. Note that, in general, IFRS and ASPE requirements are similar, and often they are identical. Revenue from the sale of goods is recognized when the vendor has transferred the significant risks and rewards of ownership to the buyer and it no longer retains control or managerial involvement in the goods. Revenue from contracts for service and from long-term construction contracts is recognized using the percentage-of-completion method. Revenue is measured at the fair value of consideration received or receivable. When the buyer has a right of return and there is uncertainty about the possibility of return, revenue is not recognized until the goods have been accepted formally by the buyer or the goods have been delivered and the time period for rejection has elapsed, unless a reliable estimate of the expected returns can be made and a provision for returns is recognized. 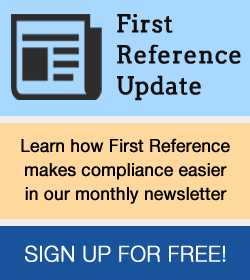 Finance and Accounting PolicyPro from First Reference is your resource for revenue recognition. Take a free trial today!